Is your furnace to slow? Sugar cane not growing fast enough? 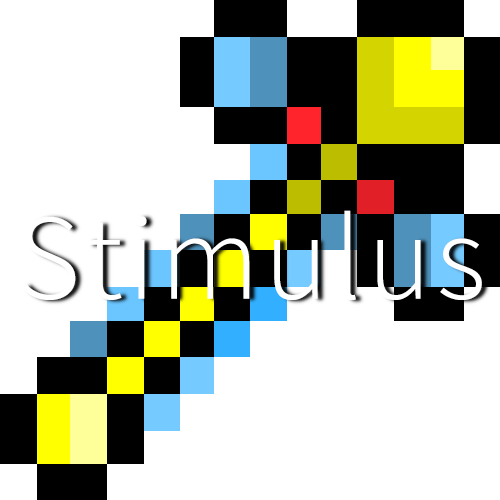 This mod adds one item, the Stimulator. Stimulate your blocks and make them work faster with the Stimulator. All you have to do is [sneak] right click on a block to speed up the block ticks. Warning: Mods may respond poorly if used on their blocks. Though not likely, this mod is not responsible for damage to your world or server if the item is used on a block that comes from another mod. Was this inspired by the Torcherino mod? It wasn't directly inspired by Torcherino, but more so by one of my other mods that has a similar item. I wanted to make a separate version with more control. So, if I understand what you are asking, you would like to have multiple stimulators that improve with tiers (Stone, Iron, Gold, etc.) and each tier being better than the prior? This is something definitely doable and likely to be seen in the future! Also, feel free to join my Discord!